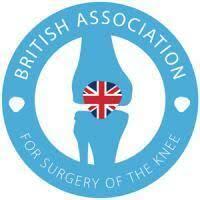 Mr Taylor recently attended the BASK (British Association for Surgery of the Knee) Annual Spring Meeting at the Hilton Brighton Metropole in March of this year. Th event brought together prominent knee surgeons from around the country to enjoy a full programme of invited lectures, instructional courses and free paper sessions. Discussions were centred around the many aspects of care including research into new and established treatments, reports form national audits and updates on important initiatives that affect the delivery of knee surgery in the UK.